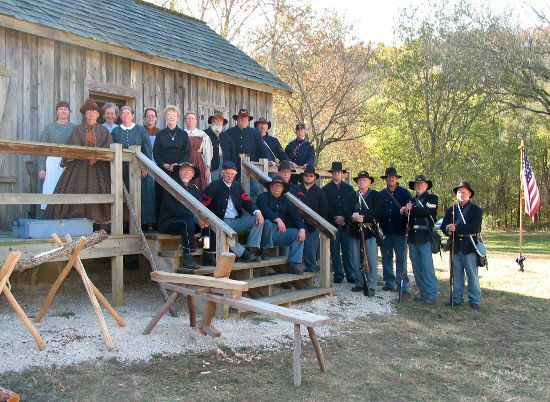 Van Buren, MO: Camp Lincoln Living History at Big Spring « The Turner Brigade--Missouri Volunteers, U.S. The National Park Service featured the Turners at a 150th anniversary living history event portraying the Union army’s Camp Lincoln at Big Spring in the Ozark National Scenic Riverway outside Van Buren, MO, November 2-3. Turners at the Camp Lincoln living history.